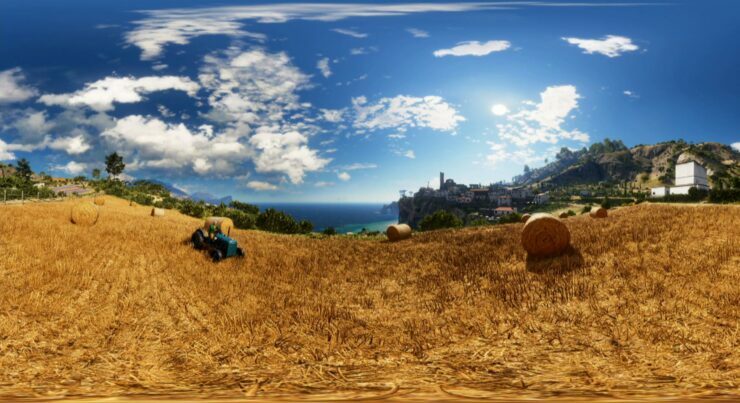 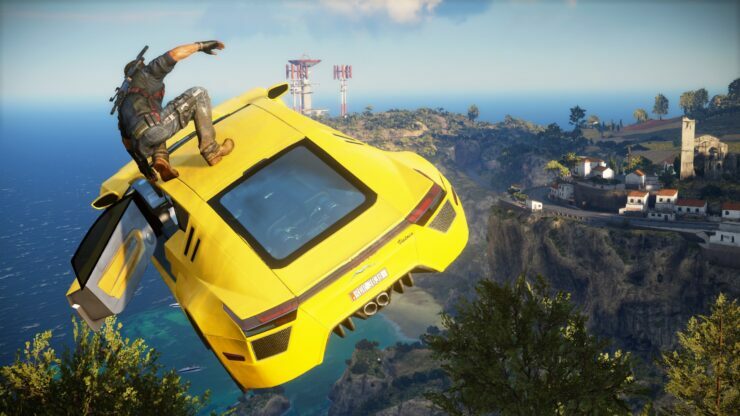 Avalanche Studios’ upcoming sequel to 2010’s most critically acclaimed open world action-adventure video game is latest in a list of games that render at a superior native resolution on Sony’s PlayStation 4 than on Microsoft’s Xbox One console. 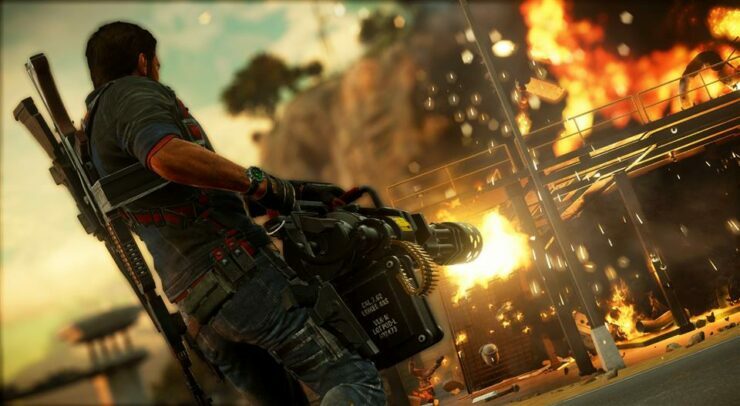 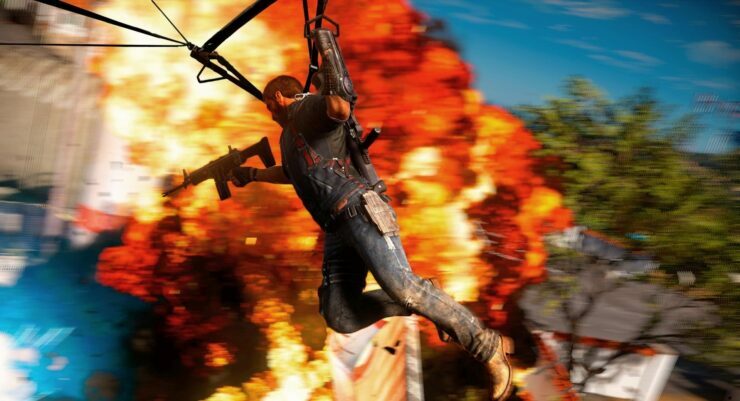 Surprising absolutely nobody, the developer has revealed that Just Cause 3 will run at full HD 1080p resolution on PlayStation 4, but Xbox One will deliver the game only at native resolution sub-HD 900p resolution. 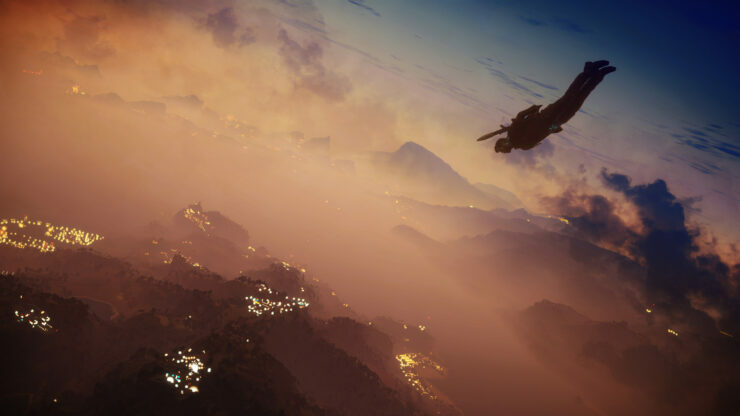 While the hype that is built around the most anticipated triple-A titles coming out this month keeps amplifying, Square Enix and Avalanche Studios ready themselves to roll out what seems to be one of the most enjoyable, cathartic sandboxes of the year. 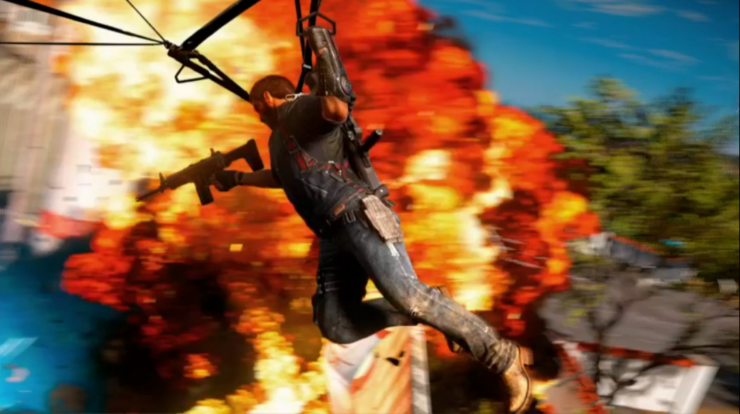 Just Cause 3 is filled with chaos, explosions and lots of other stuff that Just Cause series is well known for, and while PlayStation 4 players will be able to enjoy all this at pleasant 1080p resolution, Xbox One users will once again have to put up with 900p resolution, which seems to have now become a norm for Microsoft’s console. 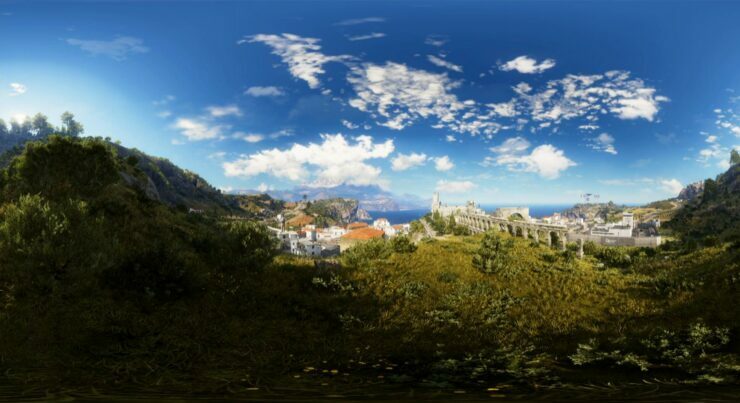 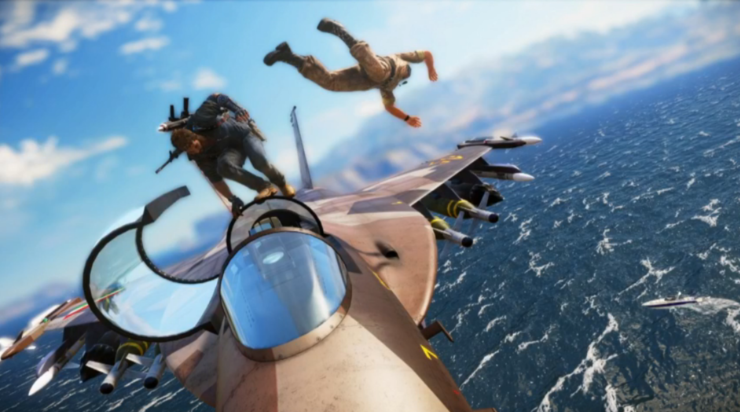 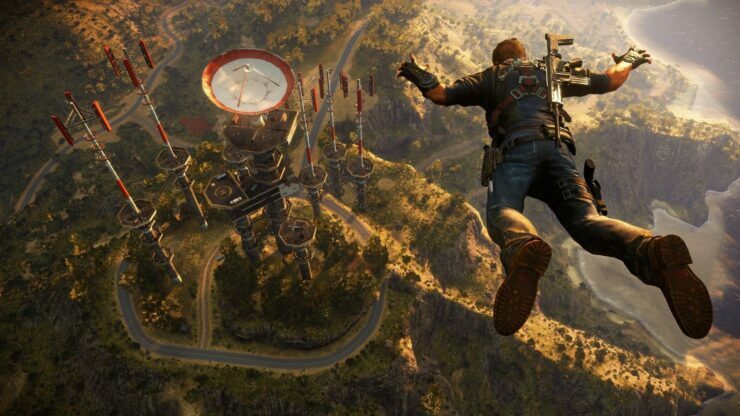 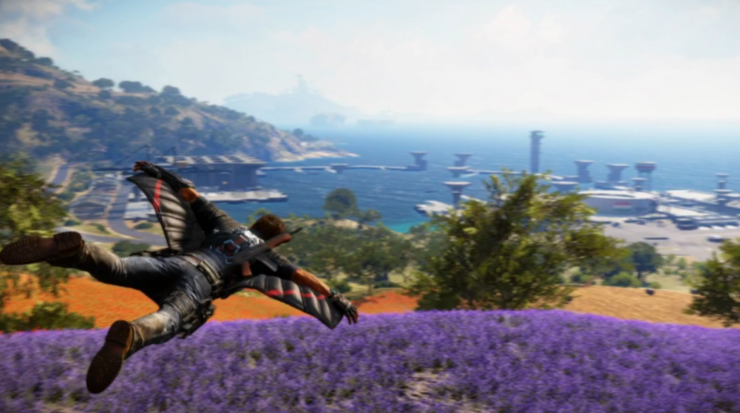 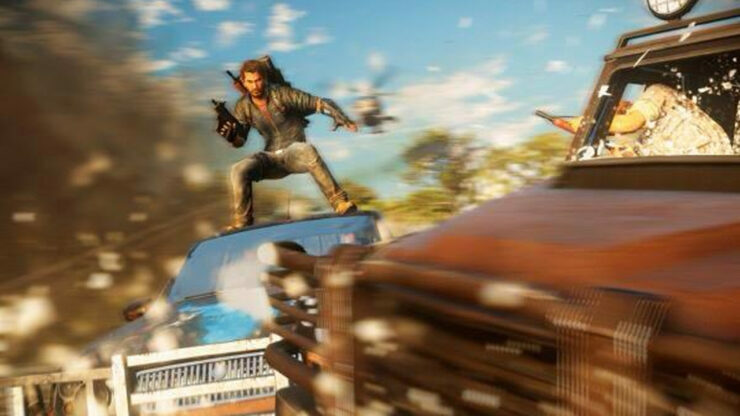 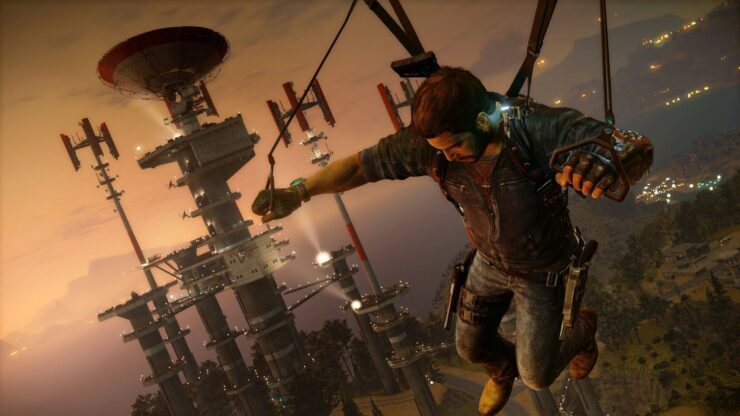 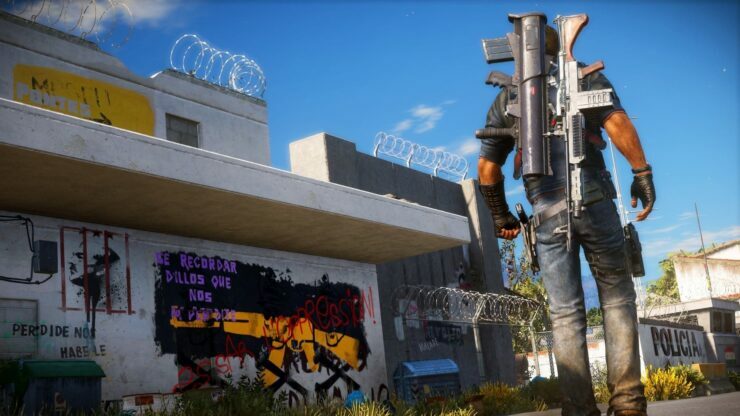 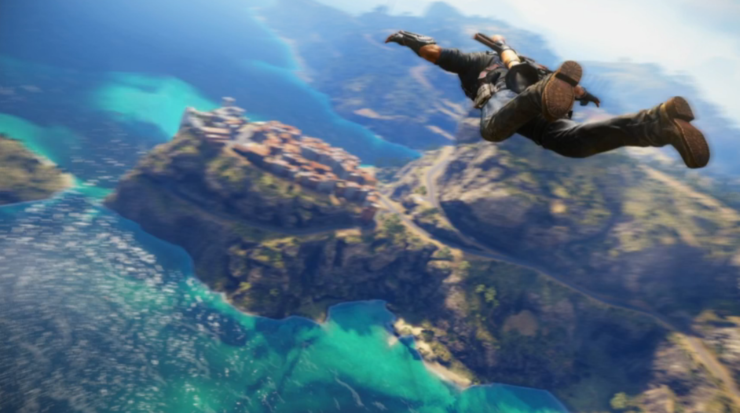 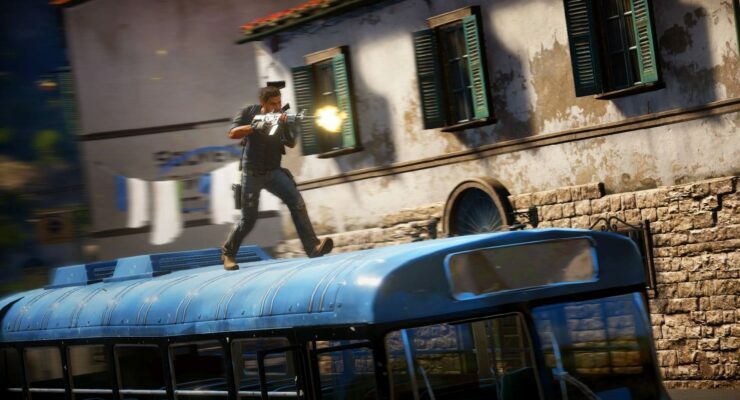 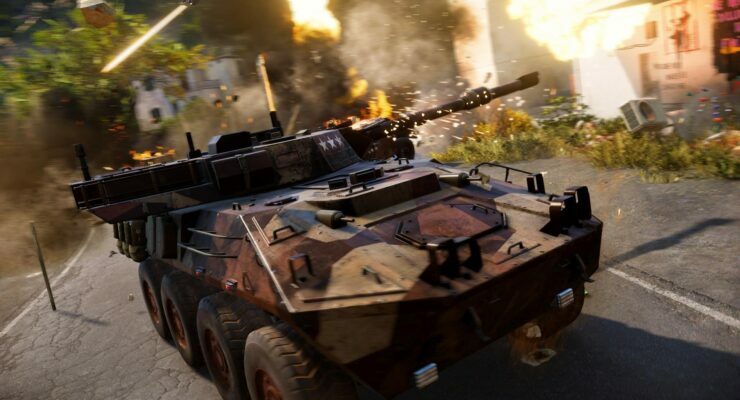 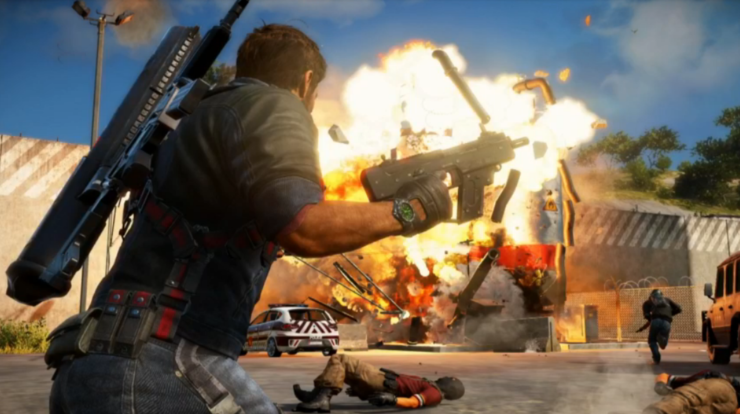 Game director Roland Lesterlin, in response to GamingBolt’s question about whether or not the Xbox One version of Just Cause 3 will run at native 1080p, revealed that the game, just like many other triple-A titles, will render at different resolutions on the eighth generation video game consoles. 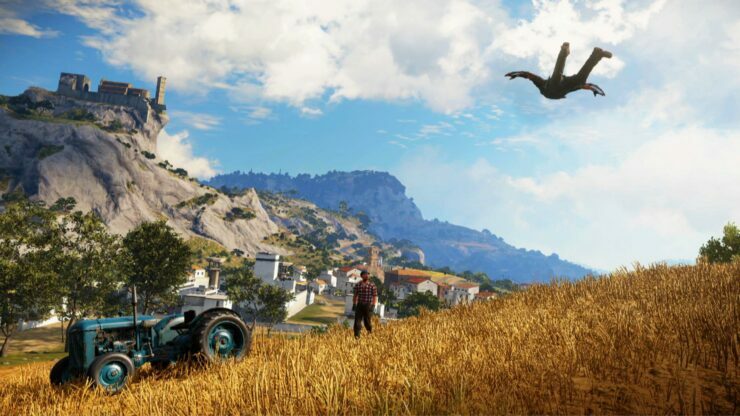 Regardless of the fact that the disparities in resolution and frame-rate of major games on consoles are not perceivable to many people, it is kind of a downer for gamers to know that their console isn’t delivering the settings that are considered standard now. 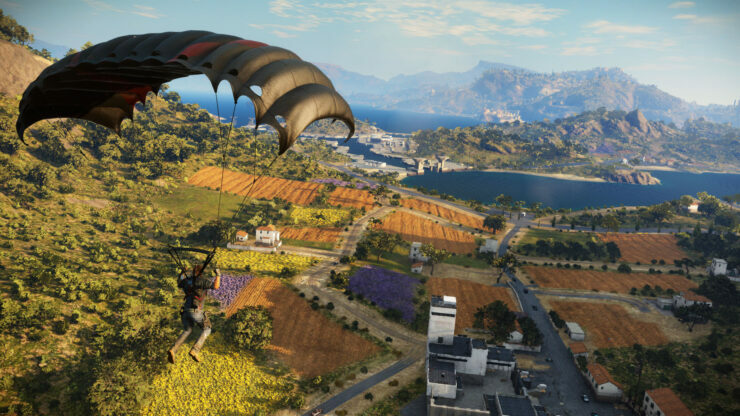 Coming down the list, Metal Gear Solid V: The Phantom Pain and The Witcher 3: Wild Hunt are also among the titles that perform better resolution wise PlayStation 4. 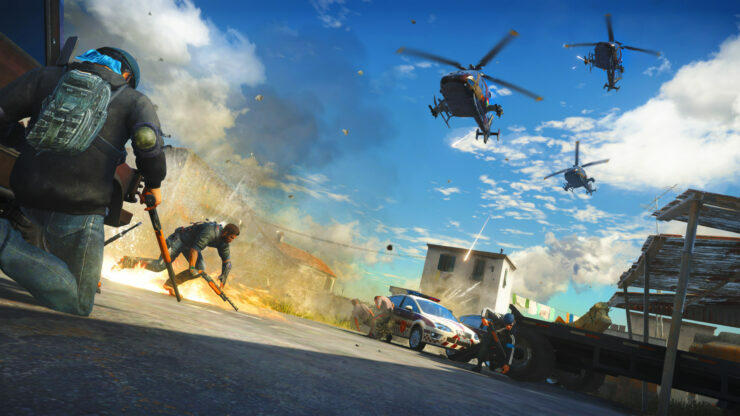 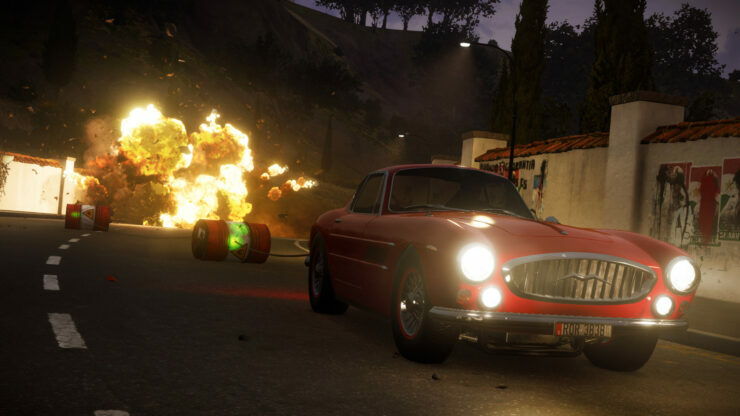 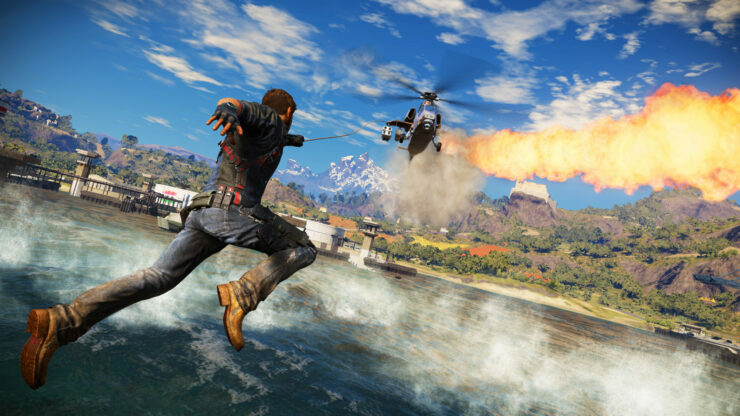 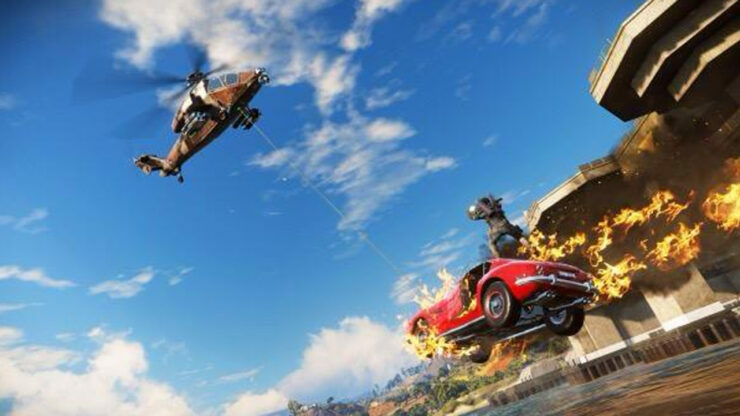 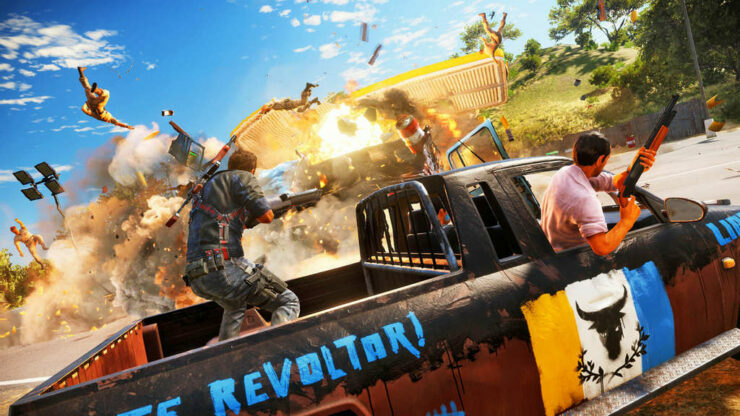 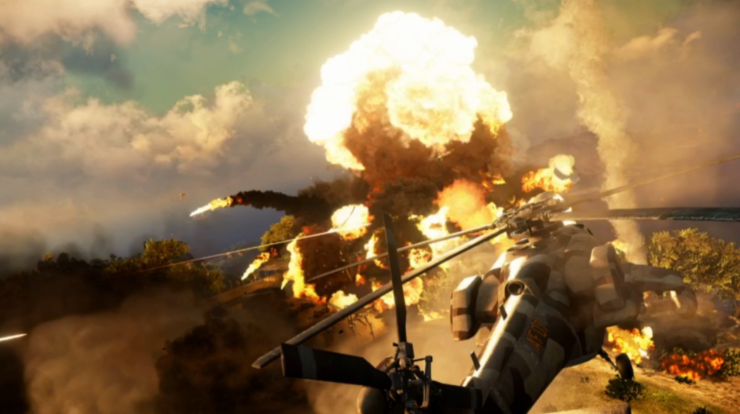 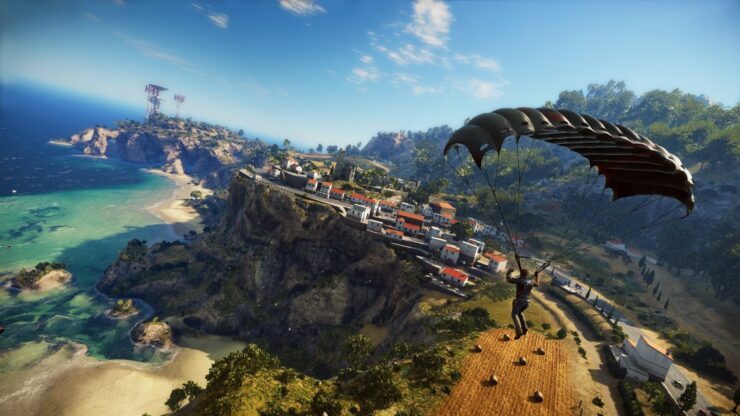 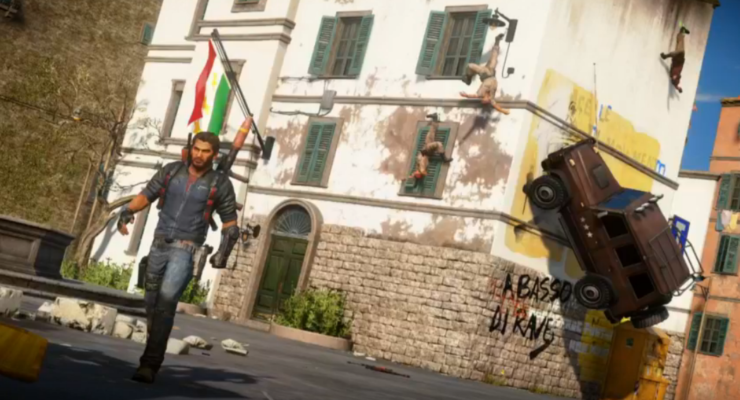 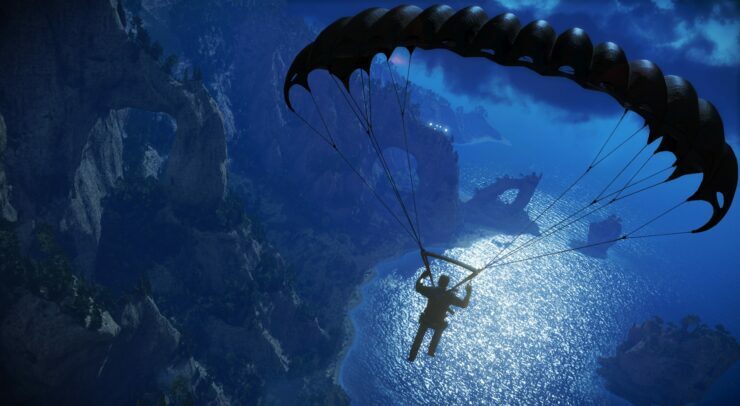 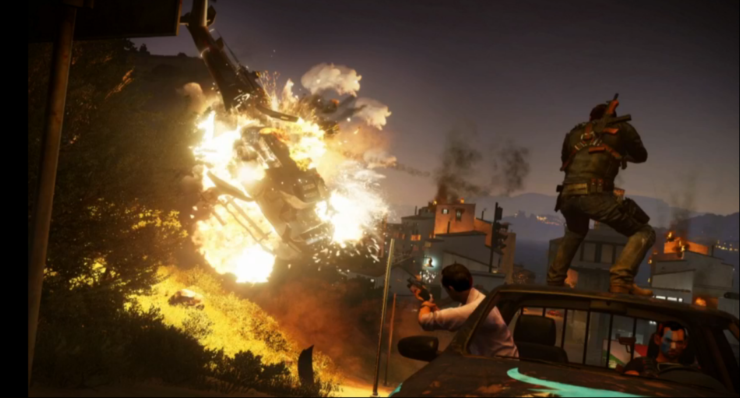 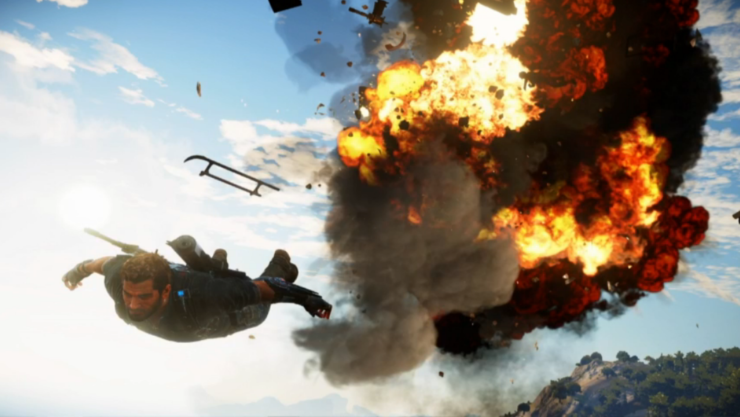 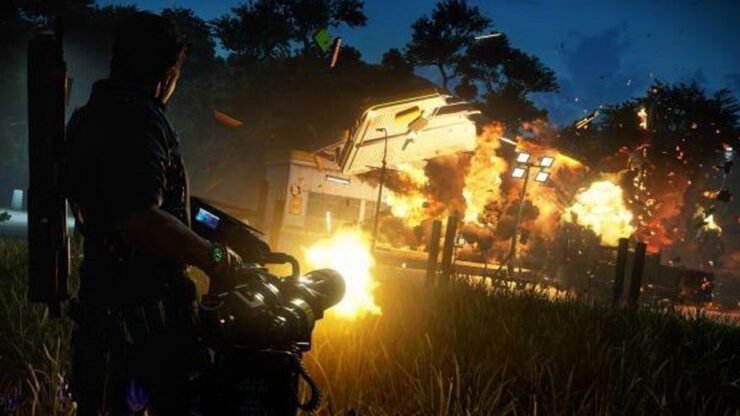 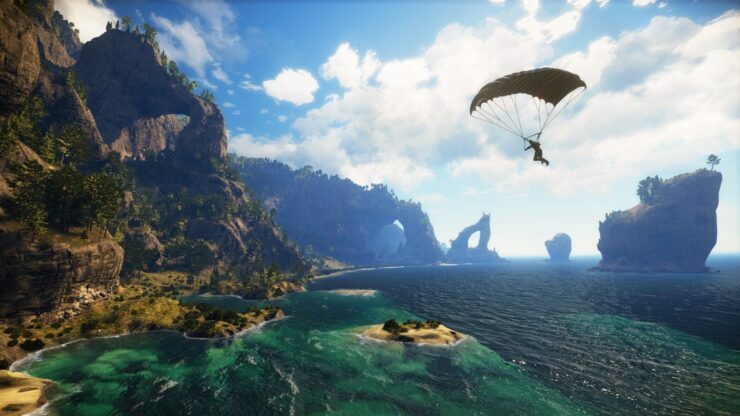 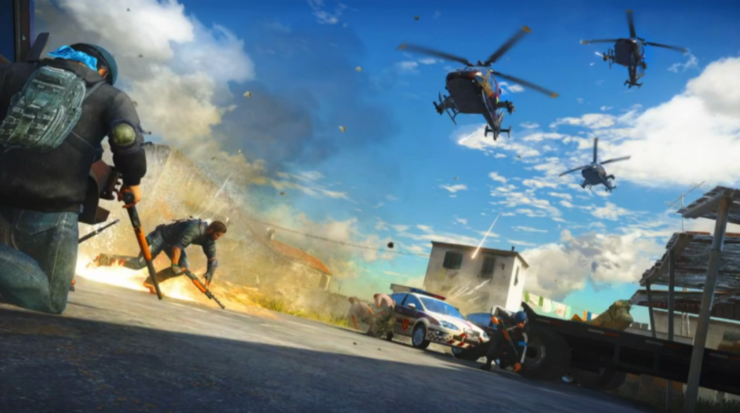 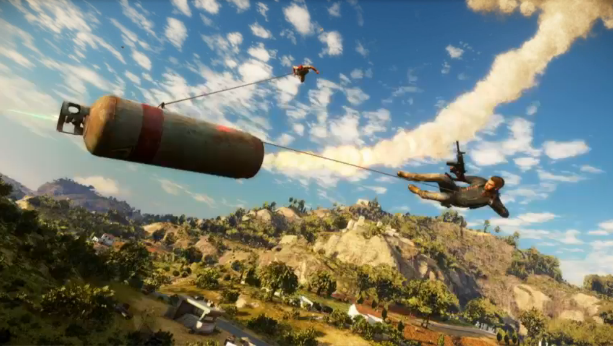 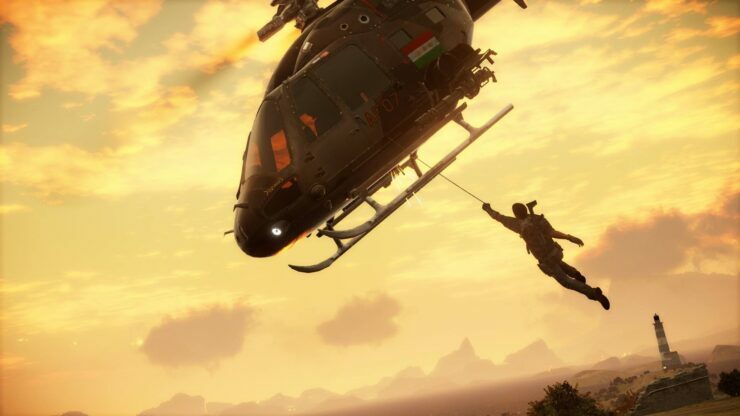 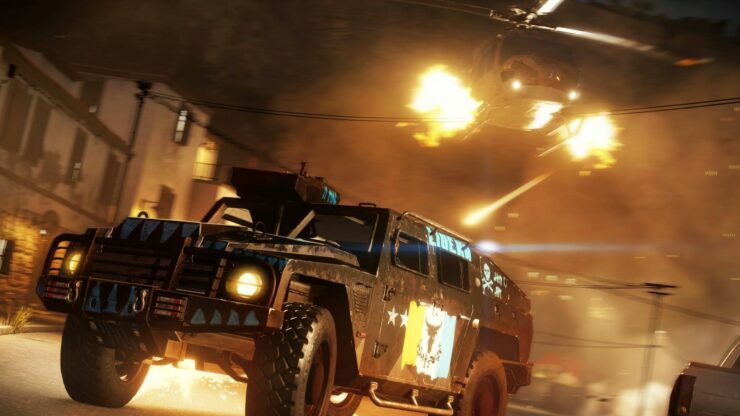 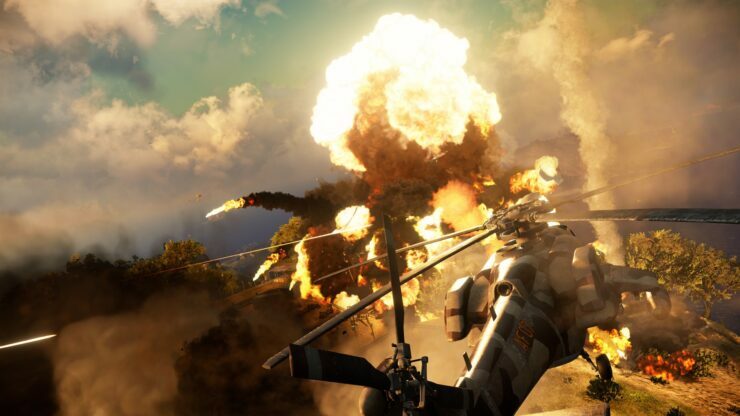 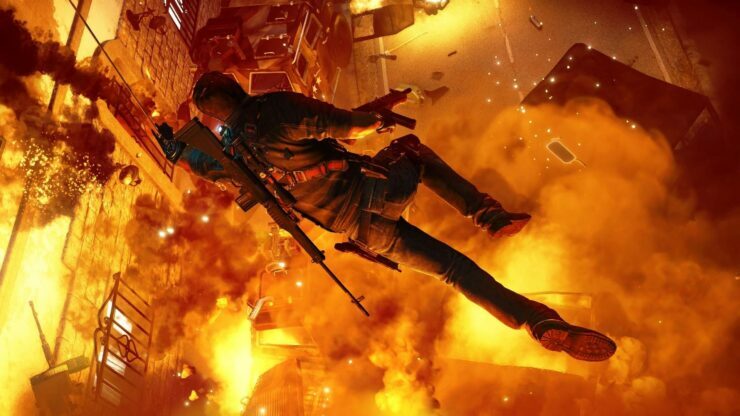 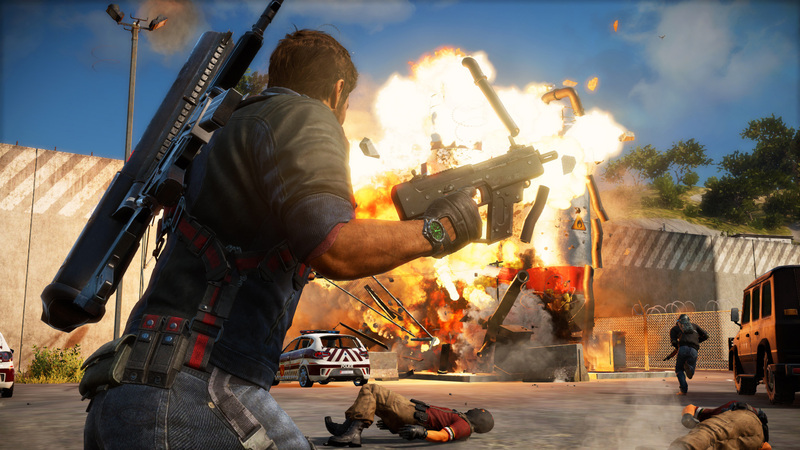 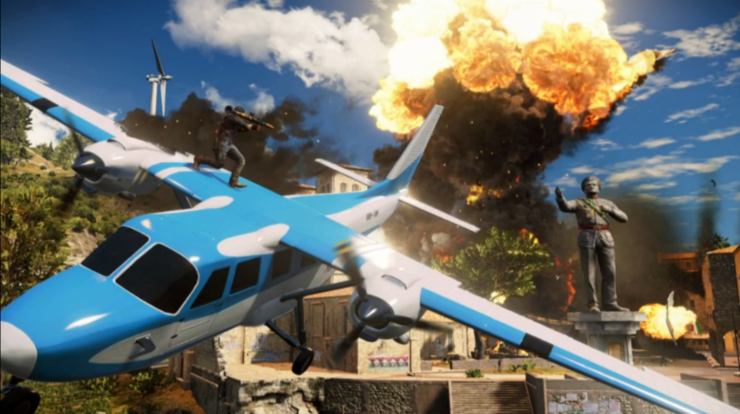 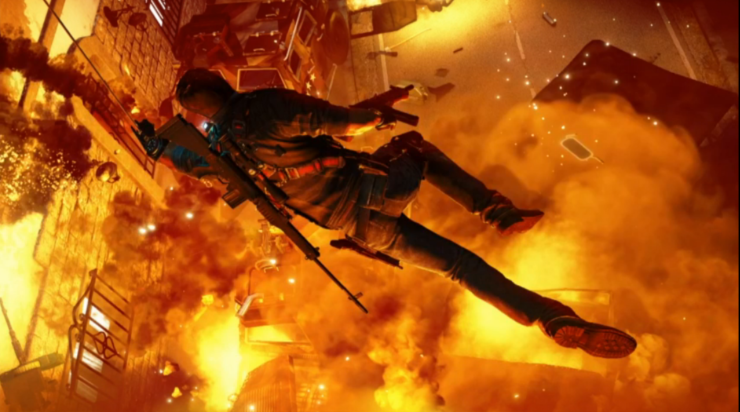 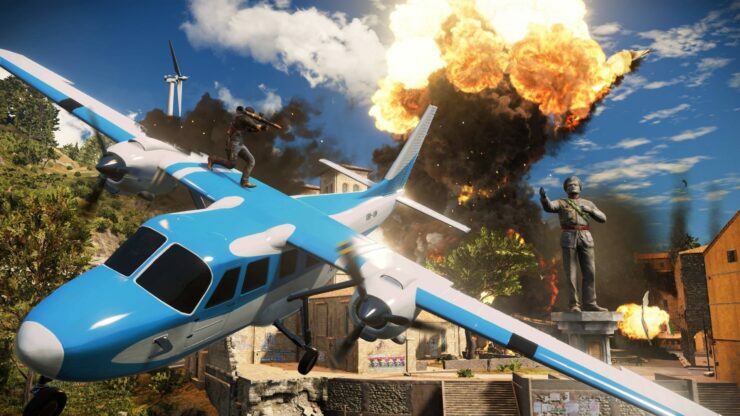 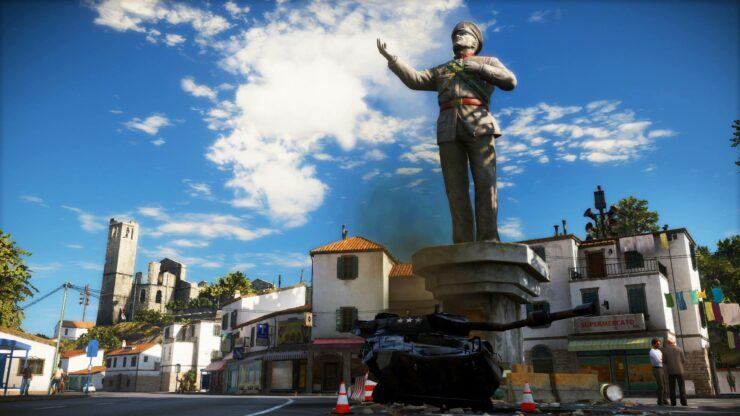 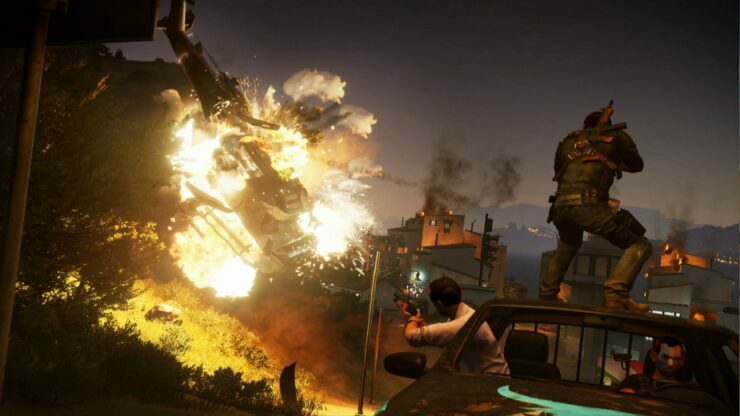 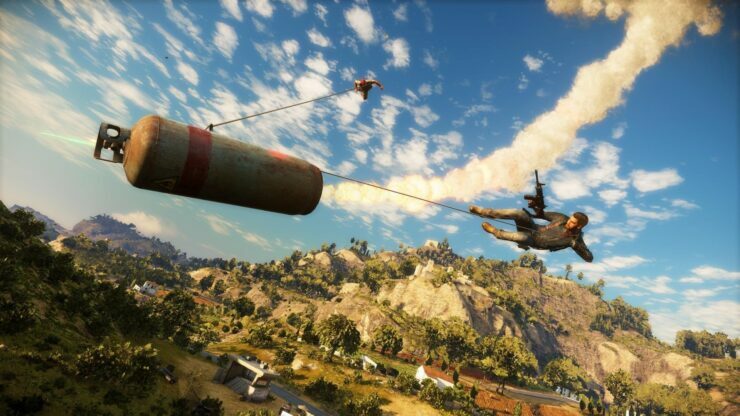 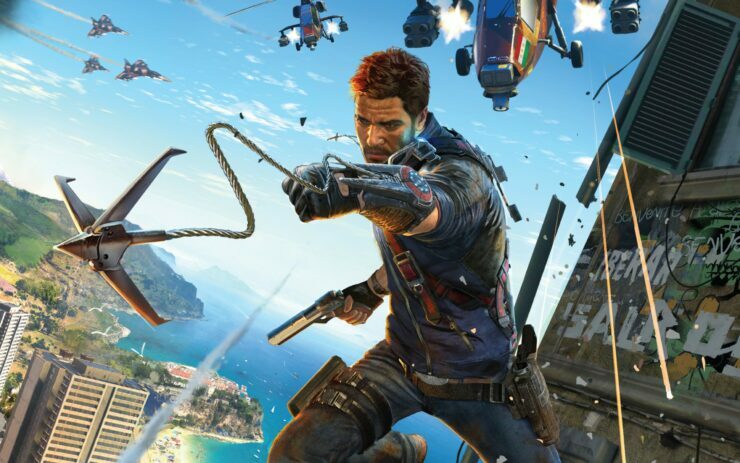 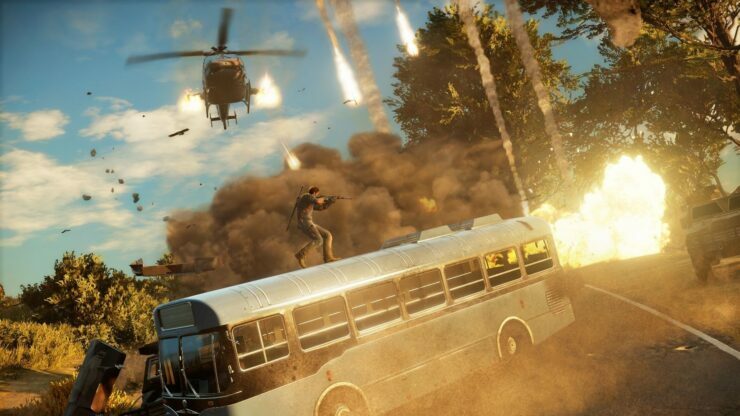 Just Cause 3 is set to release on December 1 for PC, PlayStation 4 and Xbox One. 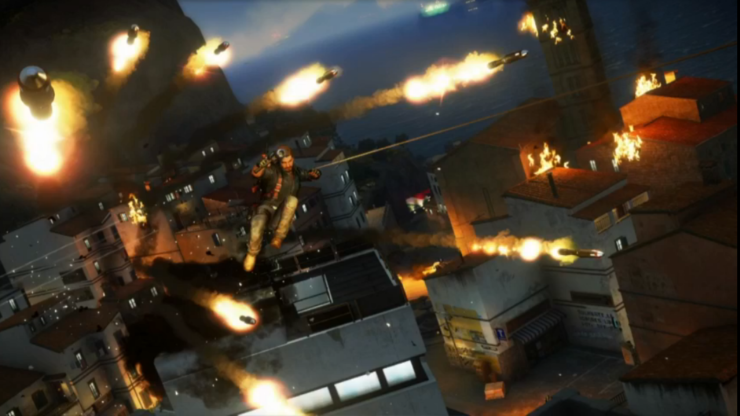 Here’s a bucnh of hand-picked images that show chaotic as well as beautiful in-game environments, and all the grappling, jet-riding, wing suits, destruction, explosions, and stuff.